Would TopSolid tutorials be appreciated by users? 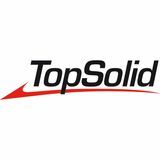 I plan to publish free training guides and tutorials for TopSolid, only accessible by members of this forum. What do you think? yes marcin is correct, it might also be nice for users to create some informations to post as well. i am sure that marcin and i have some things to contribute. I'm all for it!!!! Any help is greatly appreciated. I think this would a good thing. Just like the french forum.